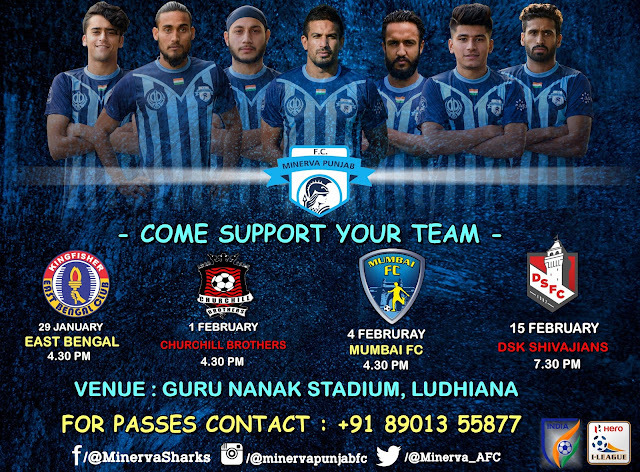 After Half a decade long wait, football fans in Ludhiana will finally get to witness Top Flight football in their city as local side, Minerva Punjab FC takes on Kolkata Giant, East Bengal FC in Round 5 fixture of Hero I-League at Guru Nanak Stadium. Nicknamed the Warriors, the blues based in Chandigarh had less than a month to build up a team to participate in the top division against the likes of AFC Cup Finalists Bengaluru FC, Giants Mohun Bagan & East Bengal but managed to make some impressive purchase in the transfer market bringing on Board Junior National Team sensations Vinit Rai, Uttan Rai, Anirudh Thapa, Bedashwor etc. 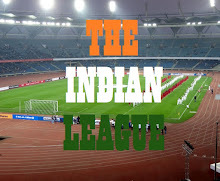 Foreigners in Loveday Enyanniya, Joel Sunday and Victor Amobi from Nigeria along with Kyrgyzstan National Team striker Ivan Filatov were brought in to balance the squad along with many Local stars who had previously piled their trade elsewhere in the Top Flight. In a bid to attract fans to the stadium, entry will be free and multiple competitions will be held on Minerva's Social Media pages and Stadium to engage the fans. The match will kick off at 04:30 PM and will be live on Ten 2.